In this agreement and disclaimer (“agreement”) “you” and “your” refer to each customer, client or website visitor, “we”, us” and “our” refer to Syracuse Cooperative Market, its contractors, agents, employees, officers, directors and affiliates. Syracuse Cooperative Market provides this site and related services subject to your compliance with the terms and conditions set forth herein. Please read the following information carefully. This site is provided as-is with no representations or warranties, either express or implied, including, but not limited to, implied warranties of merchantability, fitness for a particular purpose and non infringement. You assume complete responsibility and risk for use of this site and any and all site-related services. Some jurisdictions do not allow the exclusions of implied warranties, so the above exclusion may not apply to you. Syracuse Cooperative Market, its agents, representatives and employees are neither responsible nor liable for any direct, indirect, incidental, consequential, special, exemplary, punitive, or other damages arising out of or relating in any way to this site, site-related services and/or content or information contained within the site. Your sole remedy for dissatisfaction with the site or its services is to stop using the site and/or those services. Syracuse Cooperative Market shall not be liable to you or your business for any incidental, consequential, special, or punitive damages or lost or imputed profits or royalties arising out of this agreement or any goods or services provided, whether for breach of warranty or any obligation arising there from or otherwise, whether liability is asserted in contract or tort (including negligence and strict product liability) and irrespective of whether you have been advised of the possibility of any such loss or damage. Each party hereby waives any claims that these exclusions deprive such party of an adequate remedy. You acknowledge that third party product and service providers advertise their products and services on the Syracuse Cooperative Market web site. Syracuse Cooperative Market forms “partnerships” or alliances with some of these vendors from time to time in order to facilitate the provision of these products and services to you. However, you acknowledge and agree that at no time is Syracuse Cooperative Market making any representation or warranty regarding any third party’s products or services, nor will Syracuse Cooperative Market be liable to you or any third party for any claims arising from or in connection with such third party products and services. You hereby disclaim and waive any rights and claims you may have against Syracuse Cooperative Market with respect to third party products and services, to the maximum extent permitted by law. You understand and agree that any material and/or data downloaded or otherwise obtained through the use of the our services is done at your own discretion and risk and that you will be solely responsible for any damage to your computer system or loss of data that results from the download of such material and/or data. We make no warranty regarding any goods or services purchased or obtained or any transactions entered into with Syracuse Cooperative Market. No advice or information, whether oral or written, obtained by you from Syracuse Cooperative Market shall create any warranty not expressly made herein. Some jurisdictions do not allow the exclusion of certain warranties, so some of the above exclusions may not apply to you. Syracuse Cooperative Market at its sole discretion may choose to change the terms, conditions and operation of this web site at anytime. By using this service the user waives any rights or claims it may have against Syracuse Cooperative Market. The content available through the site is the sole property of Syracuse Cooperative Market, or its licensor’s and is protected by copyright, trademark and other intellectual property laws, except as otherwise explicitly agreed in writing. Syracuse Cooperative Market owned content received through the site may be downloaded, displayed, reformatted and printed for your personal, non-commercial use only. Content owned by Syracuse Cooperative Market licensor’s may be subject to additional restrictions. You agree not to reproduce, retransmit, distribute, disseminate, sell, publish, broadcast or circulate the content received through the site to anyone, including but not limited to others in the same company or organization without Syracuse Cooperative Market express prior written consent. The materials posted on Syracuse Cooperative Market are provided for public informational purposes only, and do not constitute individualized advice. Your review of the posted materials does not establish any form of client relationship between you and Syracuse Cooperative Market. You should consult qualified counsel to determine your current situation. Links to other sites are provided only as a courtesy to Syracuse Cooperative Market website visitors. These links do not constitute an endorsement of products, services or information provided by other sites. Further, the inclusion of links to other sites does not imply that the other sites have given permission for inclusion of these links, or that there is any relationship between Syracuse Cooperative Market and the linked site. Syracuse Cooperative Market is not responsible for the privacy practices or the content of others web sites. Syracuse Cooperative Market hereby disclaims any representations or warranties expressed on any site other than our own. All content within this site, including, but not limited to text, software, graphics, logos, icons and images are the property of Syracuse Cooperative Market except as provided herein. No portion of the materials on these pages may be reprinted or republished in any form without the express written permission of the firm. Permission is granted to print copies of informational articles for your own use and review, provided that source attributions and copyright notices are maintained. We reserve all of our rights in the graphic image and text, any other images, our trade names and trademarks, and any intellectual property rights. Syracuse Cooperative Market, trade names, trademarks, logos and service names and similar proprietary marks shall not be reprinted or displayed in any form without the express written permission of Syracuse Cooperative Market.  The unique trade dress of the site is also a service mark of Syracuse Cooperative Market. When you send Syracuse Cooperative Market an electronic mail transmission, the electronic mail transmission is not necessarily secure and is not encrypted. Accordingly, email transmissions are not necessarily protected from unauthorized access. Transmission of email is at your own risk. Syracuse Cooperative Market cannot accept responsibility for your transmission of confidential information or any obligation with respect to that information not submitted over the secure server.